Going from two kids to three is no joke, as these moms can attest. The Duke and Duchess of Cambridge depart the Lindo Wing with their newborn son at St Mary's Hospital on Monday. The Duke and Duchess of Cambridge welcomed a son on Monday, and officially became a family of five. Older siblings Prince George, 4, and Princess Charlotte, 2, looked downright regal as Prince William led them to meet their new baby brother. The Duke of Cambridge with Prince George and Princess Charlotte outside the Lindo Wing at St Mary's Hospital. And the duchess looked radiant (trying not to hate her, trying not to hate her, trying not to HOW IS SHE EVEN WEARING HEELS RIGHT NOW, she looks better a few hours after giving birth than we could EVER HOPE TO ACHIEVE) as she emerged from the Lindo Wing cradling the newest royal baby. Right now, the duke and duchess are the picture of serenity. But other parents of three young children know the truth: Will and Kate, you've just been outnumbered. And life is about to change more than you might expect. We spoke to three different moms to get an idea of what it's really like to have three kids. While the duke and duchess are sure to have lots of help (their nanny has been called "the real Mary Poppins"), they'd still be wise to take this heartfelt and honest advice from those who came before them, and are currently surviving (and thriving) as families of five. Elizabeth Fulton's three children, who are ages 20 months, five, and eight years old. Elizabeth Fulton, who has two girls (ages five and eight) and a boy (20 months), found that becoming outnumbered by her children was a difficult adjustment. "We can't always be available to each one of them at the same time. It's hard to adjust to that. With two it was so easy. We could always respond or help right away and now someone almost always has to wait or has to share the attention," Fulton, 37, who lives in Ottawa, told HuffPost Canada. "The house feels full now, the car is packed, life is noisier, and there is so much more laundry! It's a lot more hectic than I imagined. I know people often say it's hard going from one to two, but we didn't find that. We found this leap hard. Having a third changed our lives the most, making it much more chaotic," Fulton said. Fulton urges Will and Kate to remember that the adjustment can be hard on the older siblings, too — especially if they feel their needs are always secondary to the baby's. "Everyone's needs matter and while older than the newborn, they are still little too," Fulton said. "Be present for your older kids. Let them know they aren't in line waiting all the time — waiting for the diaper change to finish, waiting for the baby to finish eating, waiting for you to change the baby's clothes. Play games while they wait, if you need to buy some time." April Cunningham with her sons Callum (7 months), Leo (7 months), and Silas (3). 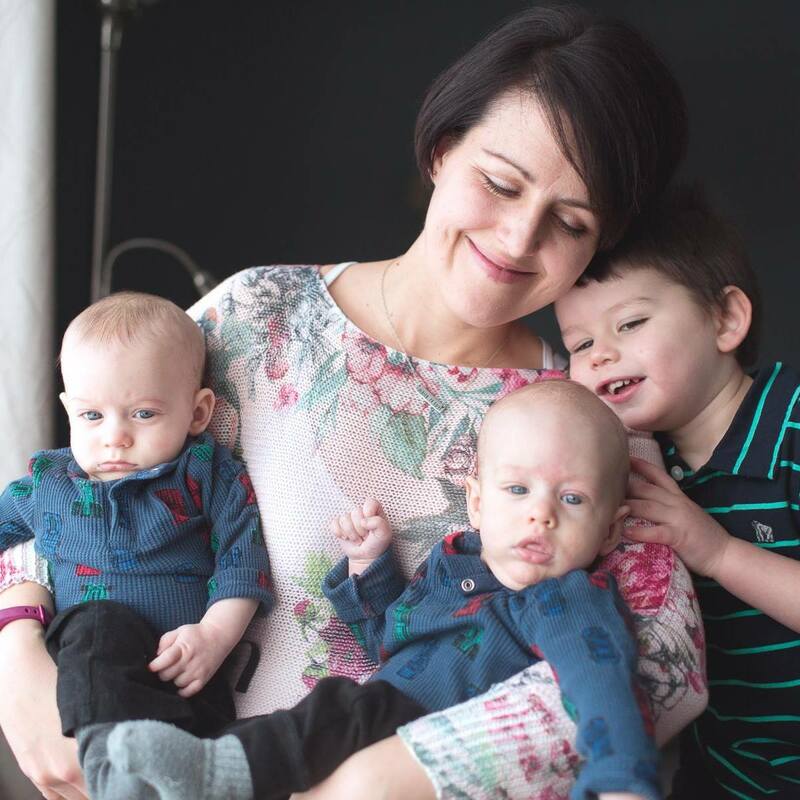 April Cunningham of Saint John, N.B., recently became a mom to three after giving birth to twin boys. Callum and Leo joined older brother Silas, 3, seven months ago. Her advice for Will and Kate is not to feel pressured to be everything to everyone, especially as they adjust to a new baby. "Your older children can get love and attention from other family members or child care providers while you focus on your newest addition. And don't feel guilty about too much screen time. As my mother reminded me, us children of the '80s were raised on TV," Cunningham, 35, told HuffPost Canada. The hardest part of having three children is dividing your attention and energy three ways, she said. This was intense at first, she said, when all three boys needed her at once (and usually in the middle of the night). 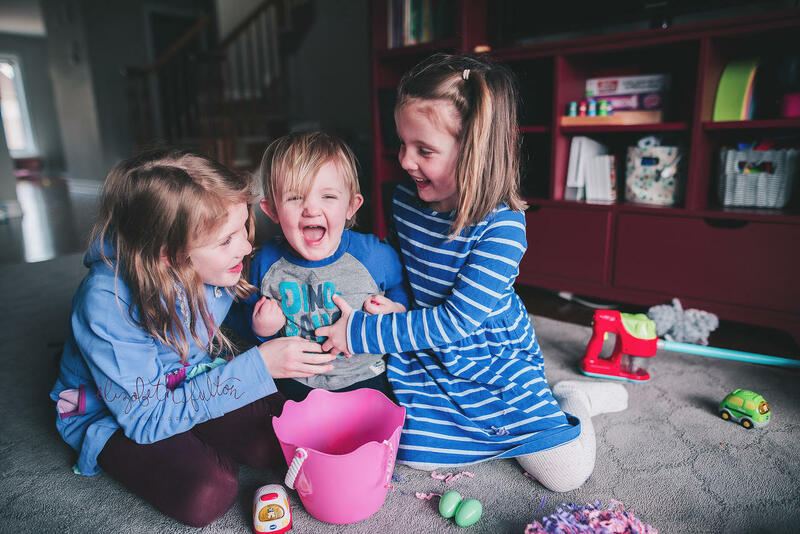 "I felt guilty in the early weeks after my twins were born that Silas wasn't receiving the same attention as before, but now I can see he is benefitting in other ways, including having empathy for his baby brothers." 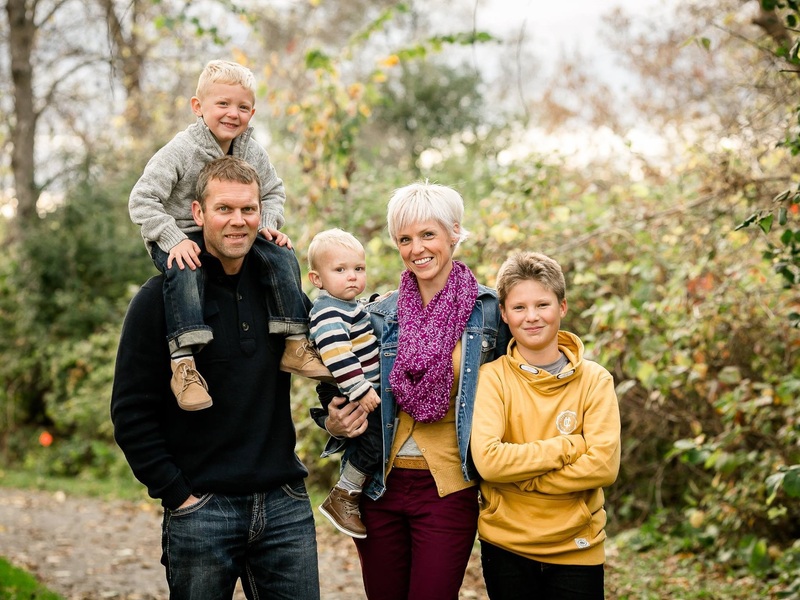 Michelle Matthieu with her husband Robin Higgins, and sons Liam (4), Henry (22 months), and Noah (11). ​​​​​"When we were pregnant with our third, so many people told us that adding a third was easier. That it's 'just one more' and the transition is much easier than from one to two. Awesome, but um, nope," Ottawa mom Michelle Matthieu, 37, told HuffPost Canada. "We found that a third was a huge addition. Perhaps it was just his personality or maybe we had unreasonable expectations, but adding a third was a big adjustment." Matthieu has three sons: Noah, 11, Liam, 4, and Henry, 22 months. While some of the adjustments she's made since becoming a family of five are more tangible (for instance, they traded in style for comfort when they upgraded to a minivan, and Matthieu notes that "those family packs of four no longer apply"), others are ingrained into their day-to-day life and how they function as a family. "Another child meant another little person with his own little personality, needs and preferences," Matthieu said. Her advice to Will and Kate is to find the time to connect with each child individually. "You're a team but each player needs to be recognized and supported. Also, allow yourself to accept help, lower expectations, and embrace the chaos. I love my crazy family — my heart is so full."